How to Teach Syllables in Primary Grades • S'more Syllable Fun - Use Your Jaw! S’more Syllable Fun – Use Your Jaw! Do your kids ever do this? Time and time again I find that my little peeps struggle when they try to “clap the syllables” or tap their “head/shoulders/hips” to find the syllables. They’ve been taught this technique by previous teachers and it works ok. But when you’re a beginning reader and are just diving into the craziness that is PHONICS, those techniques aren’t very accurate. It can make things a little difficult when you are trying to sound out words. What IS accurate, however, is your jaw. Yep! Your jaw will not tell a lie. It will not allow you to over pronounce blends making them into syllables. The idea is simple. Every syllable has a vowel. 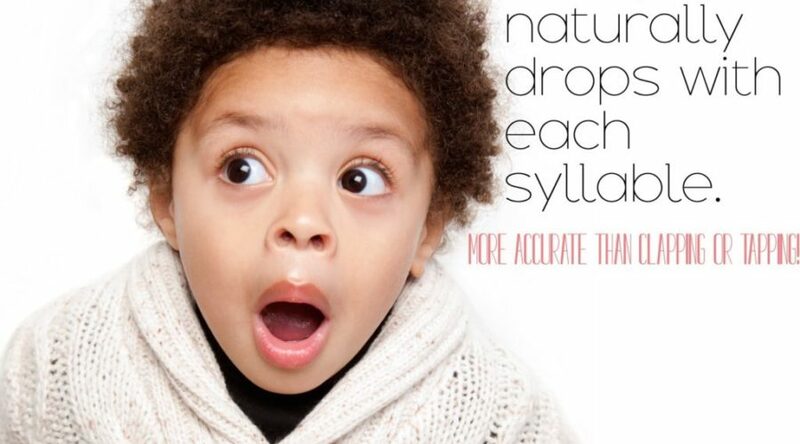 Your jaw drops on vowels.The process of finding syllables this way is EASY. Just place your hand lightly below your jaw and say the word. Each time your jaw drops, you have a syllable. Count how many times your jaw drops and VOILA! Teaching kids how to break words into syllables is an important part of teaching kids to spell unknown words. If they know the basic rules of syllabication and understand that each syllable has a vowel, they will find great empowerment in spelling unknown words. Identifying syllables accurately will lead to better usage of blends without adding those extra vowels where there should be none. I begin the school year teaching my kiddos this nifty little trick and doing away with the tapping body parts and clapping thing. They immediately start to put the little trick into use. I often spy my little authors mouthing words with their little hands nestled lightly beneath their chins. As the year progresses, we practice syllables here and there – always noting how great we are at counting them. By the latter term of the year of the school year I want them to understand some of the basic rules of syllabication and how they work with the phonic rules we’ve already learned. We’ve spent a lot of time talking about double consonants, suffixes and compound words. Tying those concepts together with syllabication creates meaningful connections – a vital part of higher level thinking and the upper echelons of DOK. To extend on that yummy idea, I created S’more Syllable Fun! to provide lessons and plenty of practice on syllabication rules. The ultimate goal is to be able to apply these skills to correctly sounding out new words seen when reading text, writing/spelling unfamiliar words and, well using them in an everyday environment. The Mastery Stories in S’more Syllable Fun! are perfect for proving those skills have been cemented. They provide the kiddos with an opportunity to not only practice their reading fluency and comprehension skills, but decode, write and utilize their syllabication knowledge as well! I love it when activities are far-reaching and incorporate a wide variety of skills! It’s such a wonderful way to demonstrate the ability to apply new knowledge. Check out S’more Syllable Fun! in my store for more info! P.S. You May Also Be Interested in Reading . . .
Bossy R and the Diphthongs! YAY! The syllable activities on some blogs and in teacher materials is a pet peeve of mine. In one activity for Jan Brett's "The Mitten", owl was included as a 2 syllable word. In another instance, Papa Bear was the example for the 3 syllable words, whereas I would have considered it as 2 syllable/1syllable. When a speech pathologist came in my classroom to do a language activity based on children's names she clapped 2 times for Kale and told him his name had 2 beats. I politely said Kale had 1 syllable and she again clapped 2 times and emphatically said no it was 2! I guess I am not a trained speech pathologist��. Thank you for posting about the jaw trick. I learned it in the 1990s when I did training in the Lindemood (LIPS)method. Hey Bonnie! Thanks for the great comment! That speech pathologist shouldn't be doing language activities 😉 Yikes!